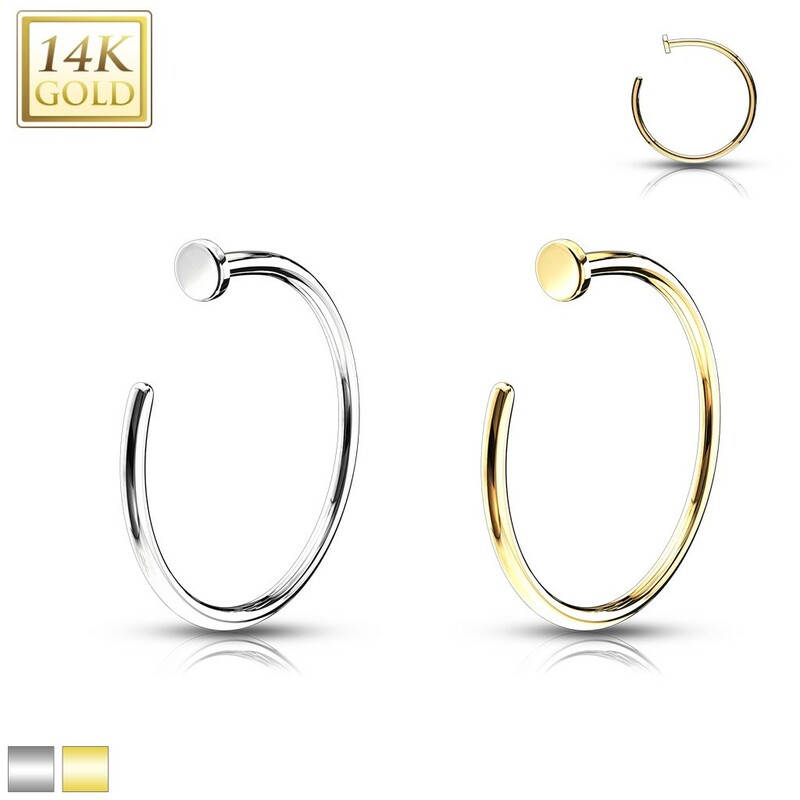 Gold, a very popular material for nosepiercings. 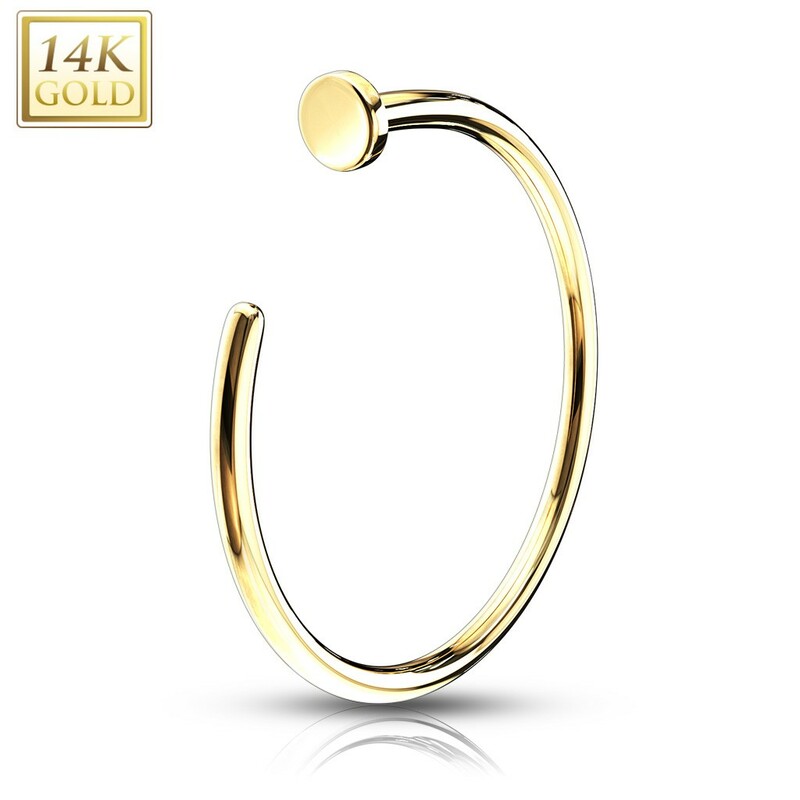 So a nosering made of solid gold can not be missing in your collection. 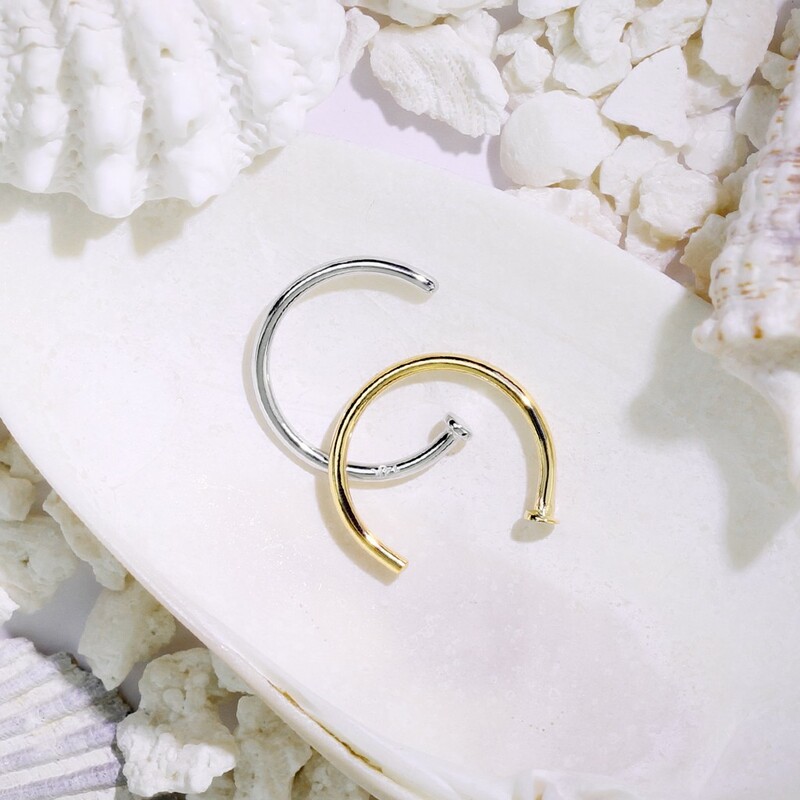 In contrast to a gold plated nosering a solid gold nose ring will always keep its color and shine. Besides, all the gold from Piercing Mania is free of nickel and therfore suited for those with a nickel allergy. 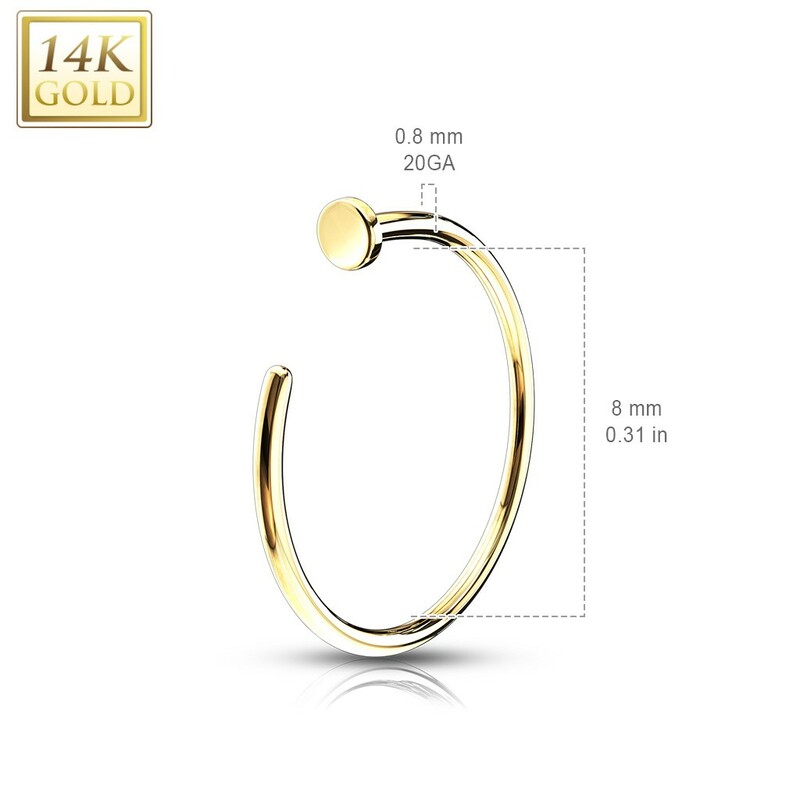 A classic nose ring of high quality solid gold.